Save on Artisan Cheese at Love for Salad. Top brands include Kraft, & Il De France. Hurry! Limited time offers. Offers valid only while supplies last. 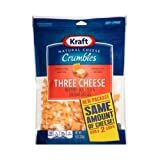 Kraft Zip Pak Natural Crumbles Three Cheese, 8 Ounce -- 12 per case. 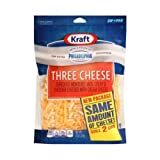 Kraft Zip Pak Natural Shredded Three Cheese, 8 Ounce -- 12 per case. 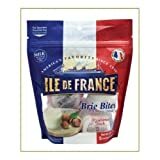 Il De France Brie Snack, 4.4 Ounce -- 12 per case. Kraft Zip Pak Natural Shredded Sharp White Cheddar Cheese, 8 Ounce -- 12 per case. 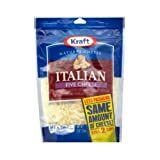 Kraft Natural Italian Five Cheese Shreds, 8 Ounce -- 12 per case. 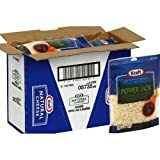 Kraft Natural Pepper Jack Jalapeno Cheese Shreads, 8 Ounce -- 12 per case. 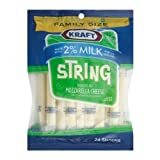 Kraft Natural String Cheese, 20 Ounce -- 12 per case. 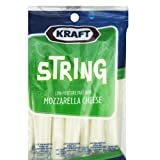 Kraft Natural String Cheese, 12 Ounce -- 12 per case. 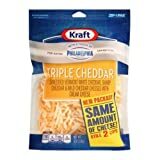 Kraft Zip Pak Natural Shredded Triple Cheddar Cheese, 8 Ounce -- 12 per case.